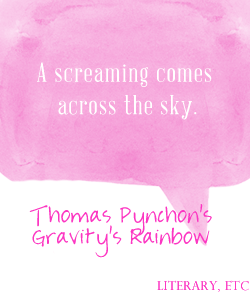 Today’s book is Thomas Pynchon’s Gravity Rainbow and I’d say I’m intrigued so I’d flirt a little to see where this goes. What a great idea for a feature! I would definitely flirt a little. That first line is pretty intriguing.